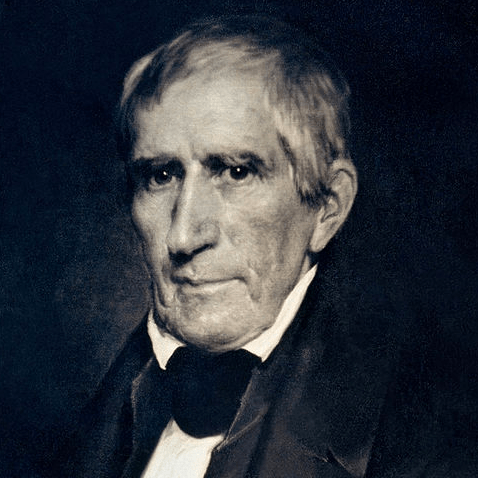 As the ninth president of the United States, William Henry Harrison has a few distinctions that made his presidency unique. For instance, he was the first president to die while in office. In fact, he was in office for only 32 days before he died, which makes his tenure the shortest one to date. Additionally, his early death meant that three presidents served in one calendar year, a very uncommon feat. Because of his untimely death, the 25th Amendment was passed, which gave government a more clear understanding of what steps to take should a president become disabled temporarily or permanently while in office. Harrison was born into a well-known political family. His father had been a signer of the Declaration of Independence and the governor of Virginia. However, early in his life Harrison and his father had clashing views, most notably about slavery. Harrison was introduced to anti-slavery ideas during his school years while his father remained pro-slavery throughout his life. Although Harrison’s family was well known, when his father died he was left without funds to continue his education, and so he joined the Army, where he was appointed to the 1st Infantry Regiment. During his time in the Army, he was promoted quickly and often based on his work ethic. Harrison and his wife, Anna Symmes, eloped after her father refused Harrison her hand in marriage. They had 10 children, one of whom died as an infant. Additionally, Harrison may have fathered up to six children with one of his slaves, and his great-grandson was civil rights activist Walter Francis White, onetime president of the NAACP. During Harrison’s political career, he served as a U.S. senator and representative, the minister plenipotentiary to Colombia, and the first territorial congressional delegate. After these posts, Harrison retired from politics until 1836, when he was nominated for the presidency. However, he did not win the election and he chose to retire again. In 1840, he finally won the presidency and took office — until he died just over a month after taking office. Harrison was the oldest president to be elected at the time, and he held onto this distinction until Ronald Reagan was elected in the 1980s. It is believed that the pneumonia that killed president Harrison was likely contracted during his inaugural speech. Not only was it raining during the speech, but the speech itself ran to about one hour and 40 minutes, by far the longest inaugural speech ever given by a president. Harrison’s grandson, Benjamin Harrison, later became the 23rd president of the United States. Harrison was the first president to have his photograph taken while in office. That’s it above.